Record & Upload from PC! Web Upload + Embed Player released!! Hi nana-versal people! Is your music life on schedule? Well if you hear about this, it’s going to be out of the line...in real good way. ...nana now has Web Uploading function!! Up to recently, nana only had smartphone as the hub to upload desktop music (DTM) tracks. However, regarding the great demand, we have developed web uploading function enabling you to upload your tracks directly from your PC! Head to the top page of Web version of nana from the URL below, and see right hand top. You will find “Upload” icon there so click that! You’ll see the page above, so fill in the columns needed! 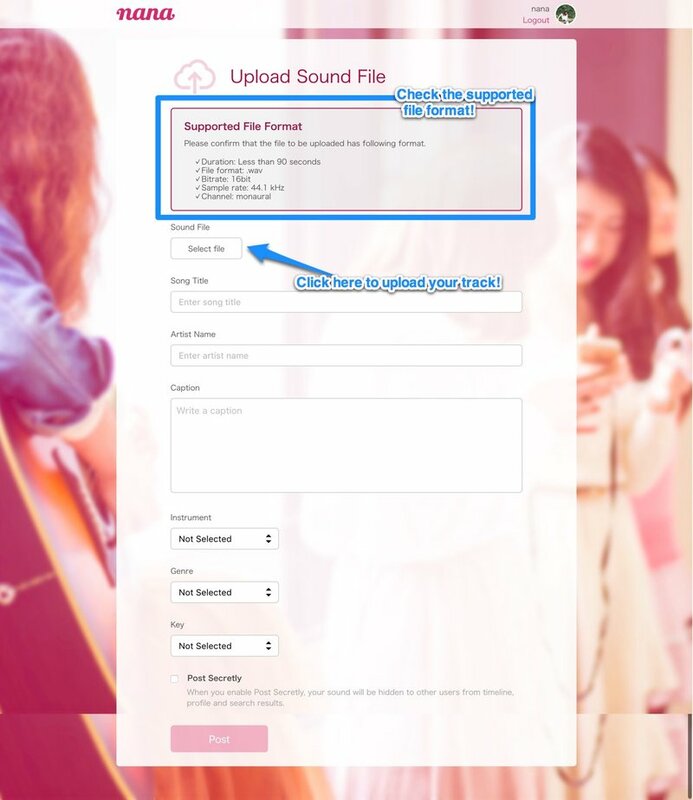 *See “Supported File Format” on the Upload Sound File page for details on this page. **The tracks over 90 seconds will be automatically cutoff at 90 seconds. Once you finish filling in, check that your post’s information is correct, then post it! If you need to correct the information, select "Edit" to return to editing form. You can check your post on your web player by choosing "Confirm uploaded sound." 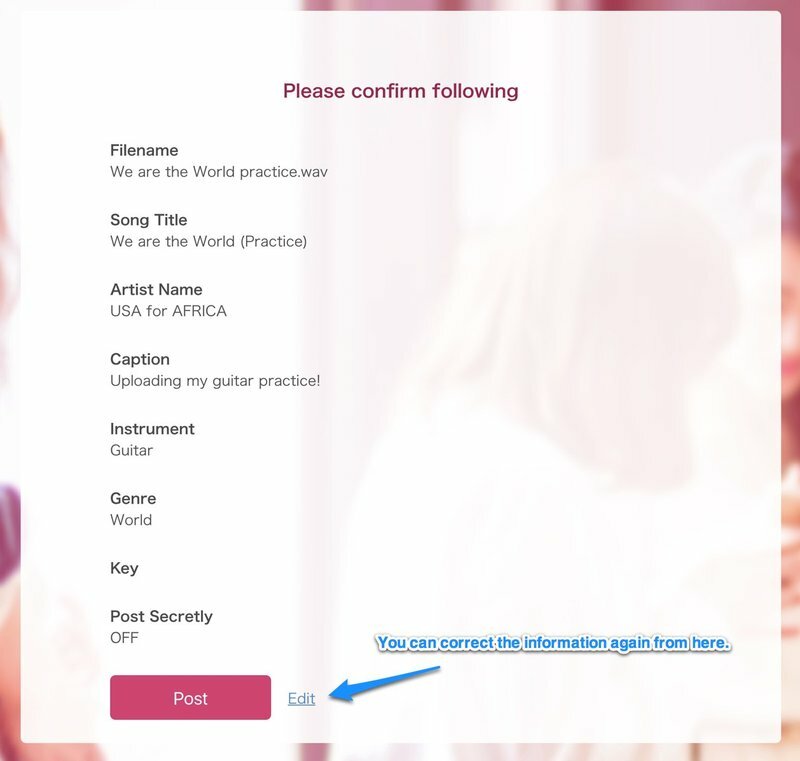 If you want post more, just click on "Upload other sound" and repeat the steps again! Please be noted that this function is limited for your initial post only (not for collaboration post). In addition to the web uploading function, we have another feature added to the web version. That is the “Embed Player.” Maybe some of you have already noticed, but we have this functions used on our blog post like nana’s Select series and events like nana Summer. And this feature is open to you all! Here’s how you use it. Head to the top page of Web version of nana from the URL below, and search for the track you want to share. If you know the URL of the track, go directly to it! Once you are on the page, you will find the HTML tag icon next to other SNS icons (like Facebook and Twitter). Click on this button! Pop-up will appear so click on "Copy Embed Code" to copy it onto your clipboard. Paste this HTML tag on your blog or website, and then you will see the Embed Player! The long awaited features for DTM users are now here. 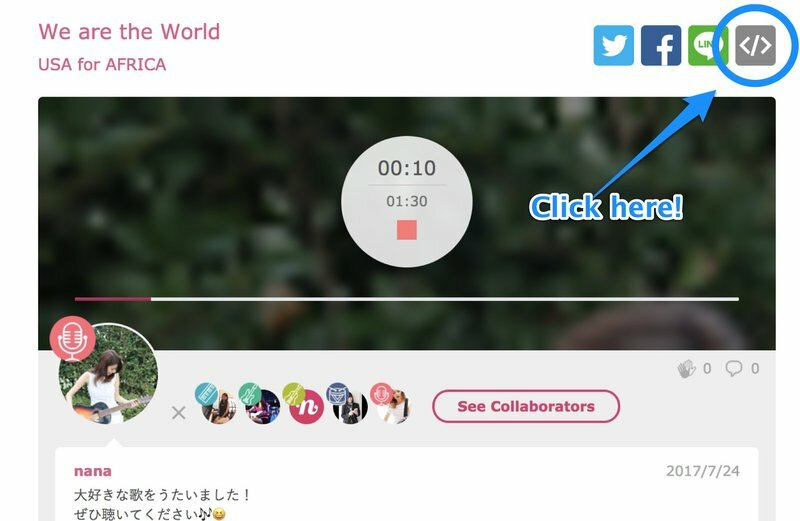 Expand your possibilities with nana’s new Web Upload + Embed Player features!